Chuck (Charles) Miller, CBA, MBA, is a Business Appraiser and Founder of Affirmed Valuation Services LLC. He has provided valuation advisory services for closely held companies since 2005 in addition to possessing several more years of financial and valuation experience. Chuck holds the prestigious Certified Business Appraiser (CBA) professional business valuation designation through the Institute of Business Appraisers (IBA). Chuck has conducted hundreds of business valuations for companies across a wide range of industries with annual revenues ranging from start-up to over $700 million including main street businesses to publicly traded companies. Assignments have been prepared for a wide range of purposes including estate planning, SBA loans, management consulting, buy-sell agreements, employee compensation and ownership plans, shareholder disputes, divorces, litigation, mergers and acquisitions, financial reporting, S-Corporation election, and damage calculations. He has also performed commercial real estate appraisals with a specialty in golf course appraisal as well as a variety of other property types including office/industrial, retail commercial, theaters, hotel, mixed use, and manufactured home parks. Prior to founding Affirmed Valuation Services in the summer of 2012, Chuck was Vice President and Managing Director in the business valuation practice of Shenehon Company, a business valuation and commercial real estate appraisal firm in Minneapolis, Minnesota. While at Shenehon Company, Chuck also performed subcontract business appraisal work for Baker Appraisals, Inc.; primarily a small business appraisal firm. 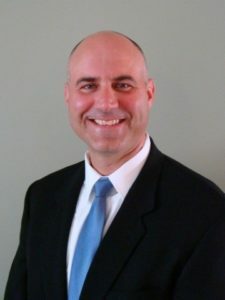 Prior to joining Shenehon Company, Chuck provided corporate finance services as a senior financial analyst for Marshall Field's department store headquarters from 1999 to 2005. Primary responsibilities included planning and forecasting for 64 stores with approximately $3 billion in combined revenue. Chuck was a real estate assessor and deputy registrar of titles for Ramsey County from 1992 to 1998 and he served in the United States Marine Corps from 1988 to 1992. Chuck’s articles have been published in IBA’s Business Appraisal Practice as well as Shenehon Company’s newsletter Valuation Viewpoint. He has made various presentations on valuation topics for professional groups including the 2014 Minnesota SBA Lenders Conference, Annual Business Valuation Conference at the University of St. Thomas, Minnesota Association of Business Valuation Professionals (formerly NCCIBA), and the Twin Cities local chapter of the American Society of Appraisers as well as for numerous management teams. Chuck is a past Board Member for the Minnesota Association of Business Valuation Professionals (MABVP) and is a past volunteer board member for the Spring Lake Park Softball Association and Spring Lake Park Basketball Association. Affirmed Valuation Services is a member of the MetroNorth Chamber of Commerce. Chuck holds a Master of Business Administration degree (finance concentration, 2000) from the University of Minnesota’s Carlson School of Management, a Bachelor of Arts degree (business administration, 1987) from Concordia College Moorhead, and he graduated from Mandan High School in North Dakota. Maury Cox, CVA, CFA, partnered with Affirmed Valuation Services in 2018 to provided business valuation services. Maury is an experienced business valuator with deep past experience in executive level business management, investment, and university level finance instruction. Maury holds the Certified Valuation Analyst (CVA) professional business valuation designation through the National Association of Certified Valuation Analysts (NACVA). Maury moved to the Twin City area recently from Ohio to be closer to his children and grandchildren. Services performed with Affirmed Valuation Services include primarily SBA business valuation and other various valuation consulting; with other experience and services including valuation for management consulting and investment, estate and gift tax reporting, business partners buy-sell agreements, mergers, acquisitions and sales, shareholder transactions, ESOP stock valuations, stock option valuations for tax reporting, intellectual property valuation and marriage dissolution business value/litigation support.